With gilt. 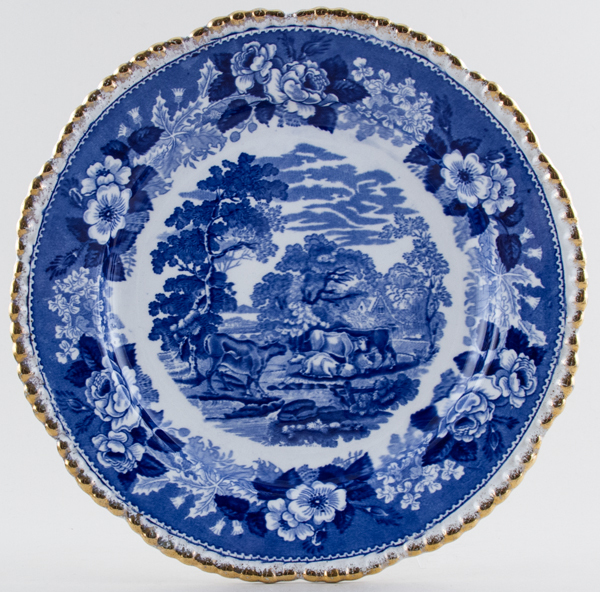 Fabulous plate with lovely bucolic scene surrounded by a very pretty floral border. Backstamp: Adams Est 1657 Cattle Scenery England. Light crazing otherwise excellent condition.